Transitional spaces are one of the latest trends emerging in home design. Creative home remodeling ideas involving low maintenance, high value home renovations are increasingly popular with today’s homeowners. It truly is among the easiest to accomplish of today’s modernization trends. That is why we determined several great home design elements that can improve the look and feel of your home, increase real estate value, and even improve your lifestyle while you’re living there! This trend of merging the outdoors with the indoors is not surprising, as the improvement is significant when considering how modest the initial investment typically is. Modern indoor outdoor transitions use home transitional elements such as frameless glass doors, floor to ceiling windows, and the merging of internal and external elements in the same design space. The American Institute of Architects notes that a 2014 Home Trends Survey showed that outdoor living spaces are being added to homes at an accelerating pace, and that more and more often they are being built with a hybridization of internal and external elements in the design and decor. We have compiled this list to allow you to explore four of the current most excellent trends in transitional space home renovation, including utilizing glass walls and frameless glass doors to create unique and exciting room designs, such as indoor patios that take advantage of the spacious views surrounding many mountain homes, and the ability to be shielded from the wrath of the mighty mosquito by combining modern encasements with existing decks and patios. These renovation ideas are ideal for those who have a patio or alcove area already and especially for those who want to showcase a magnificent view by creating transitional spaces in their homes. Even a small upgrade to a room, like adding a frameless sliding glass door for example, can have a real impact on the look and feel, and therefore the value of your home. 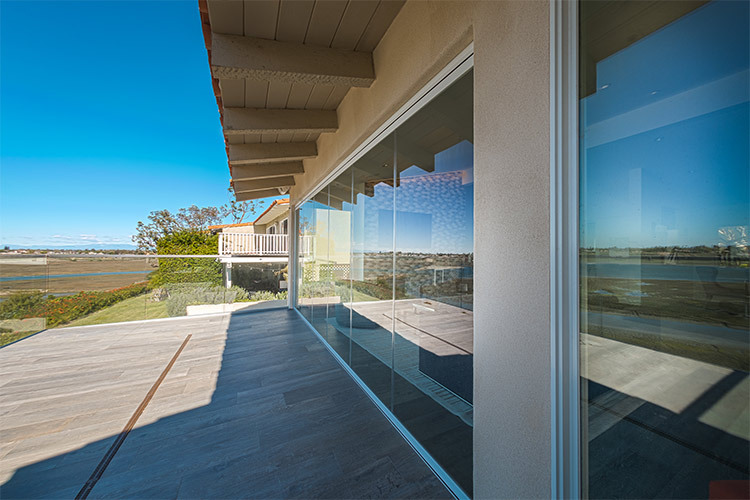 Frameless Sliding Glass Door Systems by Cover Glass USA instantly enhance visibility between spaces and create beautiful indoor outdoor living spaces in any home. 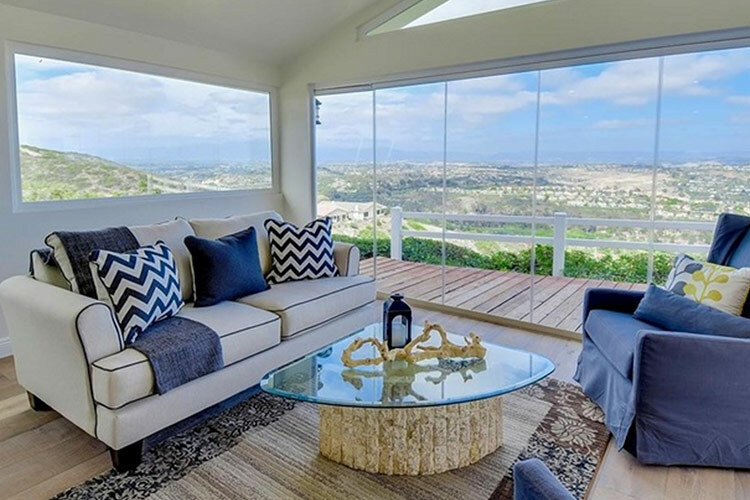 You can use frameless sliding glass doors to replace French doors, traditional sliding doors, or even eliminate a wall to open up your living space and replace it with a gorgeous view of the natural environment around your home! Sliding patio doors and glass walls are a great option for the overall enhancement of a family room, porch, or bonus room. They allow the homeowner to truly reconnect with the natural environment around them, the natural landscape unobstructed from view. Sunrooms are bright, open, inviting spaces, yet they aren’t so prone to the throws of temperature from seasonal change, and they provide a refuge from bugs, critters, and other pests while still allowing for enjoyment of sunshine and the outside view. When homeowners decide to use transitional elements to connect indoor and outdoor environments in a sunroom, it tends to then become the most often occupied shared area of the whole house. Sunrooms are the embodiment of warmth and comfort in a modern era. Efficiently and magnetically stacked windows with flexible track design can allow for an inviting and open floor plan, with as many window combinations as the designer’s mind can imagine. Today’s window technology allows every panel to slide individually, and includes numerous advances over old windows that may need replacing urgently by now. 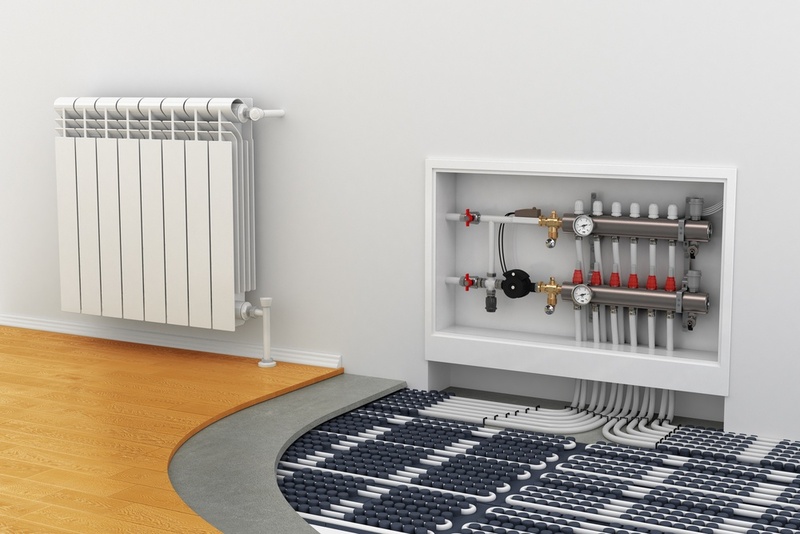 Heated floors are becoming more of a common implement in modern remodeling, rather than a luxury once enjoyed only by the luckiest of bare feet. They are a familiar mainstay in bathroom remodels, but have you considered the benefits of a heated entryway in your transitional area? Just think of the snow melting right off the boots in the winter blizzards and enjoying the warm welcome of a heated entryway floor using stone and wood elements to incorporate your transition region. By installing a heated floor in a porch or sunroom, you don’t have to feel the bite of the cold as you step across, and you can be sure your pet will love it too. Bring a little warmth out with a heated walkway to enjoy your outdoors more. You can bring the fun of the back patio into your home during the colder seasons by utilizing room transition features like using outdoor fabrics on your indoor furniture. 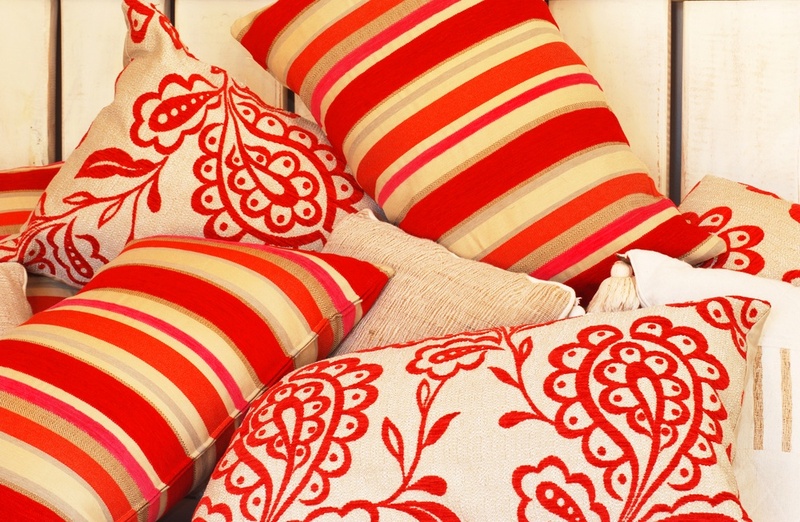 Outdoor fabrics are sturdy, and can possess fabulous designs. They’re becoming increasingly difficult to tell apart from traditional indoor fabrics, which is why so many homeowners are bringing them inside the home now. The durability of outdoor fabric gives it an appeal for high-traffic areas and transitional spaces like entry rooms and sunrooms. They are perfect for the foyer and other transitional spaces between inside and outside the home. Enjoy time with friends and family the way you would in an outdoor setting, with the comfort and convenience of durable, cleanable outdoor fabrics inside the home. Remodeling can be a challenge so it can be wise to begin small, with one element of a home at a time, perhaps. An investment in modern design and technology by installing Cover Glass USA's frameless sliding glass door or window systems is a time-tested approach to increasing the value of a property in the most definite way possible when upgrading the design of either your interior or exterior. Their frameless sliding glass doors are coated with low-e technology adding economic and energy savings to your monthly utility bills and enhancing the financial worth of your residential property. They also allow the unique opportunity of taking full advantage of the natural light and beautiful scenery your location may have to offer. Connecting indoor and outdoor elements can be an exciting way to go if you love everything the outdoors has to offer but also enjoy the comforts of your cozy home. The suggestions here are just the beginning, because only you know the uniqueness of your property and how to best bring the better of both worlds together for yourself.